The Complete Maus serves as both a complement and a supplement to the reading of Maus. It helps students better understand that Maus is actually three books in one: 1) Vladek's story of surviving the Holocaust; 2) Art's story of surviving the experience of growing up as the son of two Holocaust survivors; and 3) The story of how Art went about writing Vladek's story (very often overlooked). To fully appreciate how carefully constructed and how profound Maus really is, students must be compelled to evaluate the book as both a tale of surviving the Holocaust and a tale of the impact on the next generation of growing up as the offspring of a Holocaust survivor. The Complete Maus helps students achieve those goals. To require students to continue to reflect upon and discuss this important example of surviving the Holocaust in hiding, in Auschwitz and the aftermath of the evacuation of Auschwitz. To help students understand that the Holocaust did not end with the liberation of the concentration camps or even the end of World War II. To require students to continue to reflect upon and discuss this important example of what it meant to grow up as the child of a Holocaust survivor. Following a careful reading and discussion of each of the two volumes of the print version of Maus, I require my students to examine carefully selected portions of The Complete Maus CD-ROM. See Assignment sheet for the specific instructions of which portions to examine. Even before examining The Complete Maus CD-ROM, students are instructed that they will be required to write a response in which they evaluate the strengths and weaknesses of the CD-ROM and the ways in which examining it enhanced their understanding of Maus. They are then given a full class period to explore the CD-ROM. See Assignment sheet for the specific wording of these instructions. At the beginning of the next class period, we briefly discuss the ways in which the CD-ROM complements Maus. The student is then given the remainder of the class period to write his/her essay. Alternatively, a teacher might assign the essay for homework. Spiegelman, Art. Maus : A Survivor's Tale. New York: Pantheon Books, c1986. Spiegelman, Art. Maus 2: A Survivor's Tale: And Here My tTroubles Began. New York: Pantheon Books, c1991. Classroom set of The Complete Maus CD-ROM. New York: Voyager, 1994. Computer lab equipped with computers, each of which has speakers and a CD-ROM drive. Clarity of the explanations of specific strengths and weaknesses. Number of specific examples taken from the CD-ROM to illustrate strengths and weaknesses. In conjunction with the strengths identified, clarity of the explanation of the way in which specific portions of the CD-ROM enhanced the student's understanding of Maus. You will be required to write an in-class essay of AT LEAST 500 WORDS in which you evaluate The Complete Maus as a supplement to the print version of Maus. Your evaluation should focus primarily on the strengths and weaknesses of The Complete Maus and the ways in which it enhanced your understanding of the book Maus. It is also important that you support your evaluation with specific examples from the CD-ROM. To prepare for this essay, be sure to examine the entire “Introduction” to The Complete Maus and the entire section entitled “Art on Art.” In order to help you find specific examples to support your evaluation, you should examine and explore the supplementary features for at least one entire chapter of Maus on the CD-ROM. Consider, in particular, the ways in which listening to Vladek Audio and Art Audio and viewing Drafts and Documents that accompany that chapter enhanced your understanding of Maus. You will be permitted to use any notes you take while examining The Complete Maus to assist you in writing your essay. You will also be allowed to use your copy of Maus. We will have a brief discussion of the strengths and weaknesses of The Complete Maus before you begin work on your essay. I will also be happy to answer any questions you might have about the CD-ROM or the book at that time. Excerpted portions of student essays written in class are given below and are reproduced with permission of Pembroke Hill School students. In exploring the CD ROM supplement The Complete Maus, I found it was a very interesting and effective method of increasing my understanding of the book Maus. One important aspect of the CD ROM supplement is the fact that it serves to confirm many of the details from the book. This is exemplified by a "Vladek Audio" segment from the book's first chapter, in which one can hear Vladek's exercise bike in the background as he converses with his son, just as Art draws the episode in Maus. This allows the listener to visualize Art's relationship with Vladek, and it gives the story an added validity as well, so that the reader feels Art is actually portraying his interactions with his father quite accurately. Another example of a detail from the book, which is supported by the CD ROM, is that of Vladek's broken English. Art portrays his father as speaking a sort of European-influenced dialect of English throughout Maus, and we find through the "Vladek Audio" portion of The Complete Maus that he does, in fact, speak this way. The Complete Maus was an effective solution in combining a general personal and historical background to the original work. Art was able to share feelings and background that might have seemed out of place in the book. In the original comic, he uses a great deal of metaphor to represent his intentions; however, in the CD ROM, he actually has the opportunity to express his intentions. For example, the reason for making the Poles different animals than the French was because the "Nazi solution divided the entire species.” Art was thus able to express himself through print and audio. I thought that it was valuable to listen to Vladek's audios. For some reason, it gave me a broader picture of Vladek's personality. I was able to hear the emotion from which he spoke. If one were looking at Maus from an artistic standpoint the sketches would be valuable. While all of these aspects enriched the original work, there were some drawbacks. Breaking up the page did detract from the original. It was not possible to read one page without enlarging the screen. I would find it very tedious to go through the entire work on computer. For this reason the computer version can only be used as a supplement. The Complete Maus, the CD ROM supplement for Maus, allowed me a great deal of insight into the intentions of Art Spiegelman. Although one can certainly get a sense for Spiegelman’s feelings towards his father, actually hearing Art's voice as he spoke about specific illustrations was highly advantageous. The section entitled "Art on Art" provided me with some very useful information. For example, Art explains how when he was young, his father refused to buy him expensive comics from the stores, and how he much preferred to purchase the old comics for half of the price. As it turned out, the old comics were much more explicit, and thus Art was exposed to a very diverse form of comic illustrations. One could clearly see this influence in Art's strip entitled Prisoner On the Hell Planet. Whether in actual or metaphorical terms, Art's depiction of himself and his family is both unique and disturbing. This section of the CD ROM also gave good insights as to Art's educational background and the origins of the Maus idea. I was especially interested to hear his description about how he came up with the idea to connect the Holocaust to mice while sitting in a SUNY classroom. Art's description of his own intentions with Maus was perhaps the most pertinent information on the CD ROM. Art's assertion that he "wanted more of a manuscript, not a comic strip" was very similar to my first impressions of the book. After I had read the first few pages, I had completely forgotten that the conversations I was reading about were between mice and dogs, and I felt as though it were actual dialogue or prose. I was, also intrigued by Art's description of why he chose to make his novel black and white. He stated that he didn't want to give an interpretation of what happened, but rather to present the facts and allow the reader to decide. In reviewing The Complete Maus, I found no weaknesses but rather a question concerning how to achieve maximum effectiveness with the CD. Determining the proper time to use the CD, which is before or after reading Maus, seems to me the only debatable issue. I suggest that examining The Complete Maus before reading the book would spoil the impact of Maus. 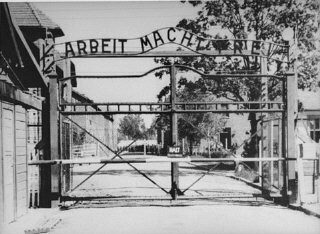 A great part of Spiegelman's documents are superfluous for us because at this point in our study of the Holocaust, we are equipped with sufficient information to recognize commonly known facts, to make inferences, recognize analogies and symbolism, and to recognize the uncanny similarity of experience from survivor to survivor. For example, I believe that Primo Levi must have been at Auschwitz with Vladek Spiegelman. I base this on a comparison of Levi's text, Survival in Auschwitz, with the Maus text and the CD ROM material. Vladek's number was 175113 and Primo Levi’s was 1745 17, indicating that they were there at the same time. Both men gave nearly the exact description of the soup "to stand near the first of the line was no good, you got only water, solid things to the bottom floated" (Spiegelman 49). Both men faced Dr. Mengele and also recounted the story of the young man who was hanged for taking part in blowing up a crematorium. Levi and Spiegelman both contracted typhus and had a similar experience in riding on the train. They were locked in for a week and saw the train door opened by the SS in order to throw out dead bodies. Vladek, like Primo, spoke of the value of "organization" in order to acquire and trade for those things you want.